I’ve never been much of a fan of Flatbush Zombies, I don’t know why but with their name really buzzing this year I figured it’s time I really gave them a chance. Their music always struck me as somewhere between what Joey Bada$$’s Pro Era click was putting out and what A$AP Rocky and the rest of the A$AP Mob were doing. From what I’ve heard on Vacation In Hell, I’d say that’s been a pretty spot on assessment, with them probably leaning more towards that A$AP sound than anything else. But they do come with their own flavor and they have a great chemistry on songs as they trade verses with one another and the energy here is always on a thousand. The album moves at a brisk pace and while their sound is modern, they are clear students of hip-hop, you won’t find any trend riding here. I’m still not sold that they do enough to differentiate themselves from the others they clearly get influence from, but Vacation In Hell is a high-energy affair that leaves an impact. Have you heard Vacation In Hell? What’d you think about it? Do you think Flatbush Zombies’ sounds stands out enough from the likes of A$AP and Pro Era? Let me know in the comments below and be sure to leave your own ratings and reactions for the album. 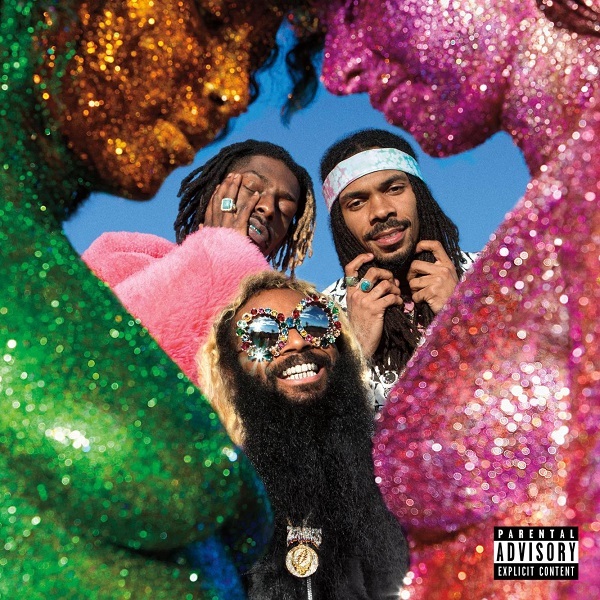 While I do think Flatbush Zombies still sound too much like A$AP, they do come with their own flavor on "Vacation In Hell" and display amazing chemistry as they trade verses with an energy level that's always on a thousand.